Our websites and other Services may contain links to other third-party websites, apps and services of interest. However, once you have used these links to leave our site, you should note that we have no control over such third-party services. Therefore, we cannot be responsible for the protection and privacy of any information that you provide while visiting such sites and services, and they are not governed by this privacy statement. You should exercise caution and should review the privacy statement(s) applicable to the third-party sites and services in question. we collect personal information from all communications with Service end users including, without limitation, text messages, faxes, telephone calls, and regular “snail mail,” as well as from third-party outside sources including database vendors. In some countries, including in the European Economic Area, some of this information may be considered “personal data” under applicable data protection laws. Your information may be supplemented with additional information from other companies such as publicly available information, information about households and other information that we may append or match to your information. We may also receive or collect certain technical information when you use our Services. This may include your browser or operating system, your manner of connecting to the Internet and the name of your Internet service provider or wireless carrier; your Internet protocol (IP) address; information about referring websites or services (websites or services you used immediately prior to using our websites or other Services; exiting websites or services (immediately after using our website or other Services); and data relating to malfunctions or problems occurring when you use our Services. Additionally, we may collect information about other software on your device for the limited purpose of protecting your security or improving your online experience. to help offer you other products, features or services that may be of interest. We reserve the right to make full use of Usage Data. For example, we may use Usage Data to provide better service to Service visitors or end users, customize the Services based on your preferences, compile and analyze statistics and trends about the use of our Services and otherwise administer and improve our Services. We may share aggregated, non-personally identifiable information, publicly and with our partners like publishers, advertisers or connected sites. For example, we may share information publicly to show trends about the general use of our websites and/or other products or services. The contents of your online communications, as well as other information about you as a user of our Services, may be accessed and disclosed under the following circumstances: in response to lawful governmental requests or legal process (for example, a court order, search warrant or subpoena), in other circumstances in which we have a good-faith belief that a crime has been or is being committed by a user of our Services, that an emergency exists that poses a threat to the safety of you or another person, when necessary to protect either our rights or our property or for us to render the service you have requested. Many of our Services let you share information with others. Remember that when you share information publicly, others besides us have access to it, and it may be indexable by search engines, or copied, forwarded, saved or archived by others. Our offerings and tools may include features or functionalities provided by third parties, or may integrate or interact with third-party products and services (including, without limitation, via APIs, plug ins, links, frames, embedding, or other interactions). In the process of providing such functionalities within our services, your browser or other tools or technology may send certain information to the third-party provider. The use of these third-party-provided features or functionalities is subject to their own privacy policies. For example, without limitation, we may use a third party for ad serving, retargeting, remarketing and/or for analytics, in which case such third party may have access to your data, subject to its policies. These third-party vendors may use their own cookies and/or other third-party cookies together to (a) inform, optimize, and serve ads across the web based on your past visits to our Services and others and (b) report to us how your ad impressions, other uses of ad services, and interactions with these ad impressions and ad services are related to visits to our site. If and to the extent from time to time we use Double Click or another Google brand for ad serving, analytics, remarketing, retargeting, etc., you can set certain preferences and opt-outs using Google Ads Settings, and Google Analytics’ currently available opt-outs, found here https://www.google.com/ads/preferences/ and here https://adssettings.google.com/. Business partners or other third parties may receive data about groups of our users, but, except as otherwise permitted herein, do not receive information that personally identifies you. We may use agents and contractors in order to help operate our Services. Their use of information is limited to these purposes, except as otherwise permitted herein. In the event that ownership of us was to change as a result of a merger, acquisition, or transfer to another company, your information may be transferred. If such a transfer results in a material change in the use of your information, you will be provided notice (which may be via updates to this page) about your ability to decline to permit such a transfer. Any personal information which we may collect via the Services may be stored and processed in our servers located in the United States or in any other country in which we, or our affiliates, subsidiaries or agents, maintain facilities. You consent to any such transfer of personal information outside your country of residence to any such location. Affiliated Entities. We reserve the right to provide your personal information and Usage Data to any affiliated entities we may have, including our subsidiaries. Affiliated entities are entities that we control or that control us. Service Providers. We reserve the right to provide access to your personal information and Usage Data to our trusted service providers that assist us with the operation and maintenance of our sites and services. For example, we may contract with third parties to process payments, host our servers, provide security and provide production, fulfillment, optimization, analytics and reporting services. We will use commercially reasonable efforts to ensure that our service providers will be given access to your information only as is reasonably necessary to provide the services for which they are contracted. Successors. If we sell or otherwise transfer part or all of our business or assets to another organization, such as in the course of an acquisition, merger, bankruptcy or liquidation, we may transfer your personal information and Usage Data. Legal Process, Enforcement and Security Notice. We reserve the right to disclose your personal information and Usage Data if we have a good-faith belief that access, use, preservation or disclosure of such information is reasonably necessary (i) to satisfy any applicable law, regulation, legal process or enforceable governmental request (such as for example, to comply with a subpoena or court order), (ii) to detect, prevent, and address fraud or other illegal activity and (iii) to investigate, respond to, or enforce violations of our rights or the security of our sites and services. When We Participate in a Joint Venture with Marketing Partners. We may participate with another company or individual for purposes of jointly promoting our products, services, promotions or contests or their products, services, promotions or contests. We reserve the right to disclose your personal information to them for purposes of (i) compensation, transaction processing, fulfillment and support, and (ii) for purposes of offering you other products, services, promotions and contests. These joint venture marketing partners may also contact you about other products, services, promotions or contests. Your information may be used for the presentation of advertisements. We may use ad networks to customize and display advertising on our Services. We may share certain information about you as a user (such as age, zip code or other information we have collected or received) with certain ad network and service providers to help them deliver more relevant content and advertisements through their networks. We may from time to time work with other companies for certain services such as analytics or advertising, and you may be subject to their privacy policies as well, though you may opt out through them directly or contact us with questions. We may provide you with access to your registration information and the ability to edit this information in your account settings dashboard and profile pages. Please be aware that even after you delete or update information within our Services, we may not immediately delete residual copies from our active servers and may not remove information from our backup systems. Similarly, if and to the extent any information is indexable by search engines (including, without limitation, public profile information), it may not be updated by such search engines when we update it, and old versions may be archived by them or by third parties outside our control. Some of our Services may provide you with additional information and choices about your privacy, which you should review. If you have previously agreed to our using your personal information for direct marketing purposes, you may change your mind at any time by writing to us using the contact information below. For California residents: We may share your personal information with third parties and affiliated third parties (such as local, state and regional affiliates and affiliate alliances), some of which do not share the We name, for their direct marketing purposes. As these third parties and this category of affiliated third parties are considered an unaffiliated party under California law, you may opt-out of our disclosure of personal information to third parties for their direct marketing purposes. To opt out, please contact us as described in the “How to Contact Us” Section below. We will continue to provide your information to local, state and regional affiliates and affiliate alliances identified in your membership application or account for the purpose of processing your membership in such affiliate and affiliate alliance programs. 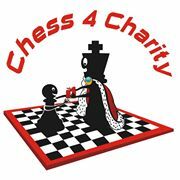 Chess 4 Charity is small business located in Northern Virginia in the USA and does not target nor intend nor expect to receive any traffic from outside the USA. However, these disclosures are made in the unlikely event of any EU visitors. Chess 4 Charity may not necessarily be GDPR compliant, as GDPR is unlikely to apply to us. If you do not want to interact with us given that information, that is your prerogative. If you are a European resident, our legal basis for collecting and using your personal data or information is to do so with your consent; where we need the personal data or information for performance of a contract, or where the collection and use is in our legitimate interests and not overridden by your data protection interests or fundamental rights and freedoms. In some cases, we may also have a legal obligation to collect the personal information in question. If we collected your personal data or information with your consent, you may withdraw your consent at any time. Update your personal data or information. To withdraw consent or exercise these rights, please contact us as described in the “How to Contact Us” Section below. Withdrawing your consent will not affect the lawfulness of any processing we conducted prior to your withdrawal, nor will it affect processing of your personal information conducted in reliance on lawful processing grounds other than consent. If we ask you to provide personal data to us to comply with a legal requirement or enter into a contract, we will inform you of this and let you know whether providing us with your personal data is required and if not, the consequences of not sharing your personal data with us. Similarly, if we collect and use your personal information in reliance on our or a third party’s legitimate interests and those interests are not already listed above (see “Information Use” section), we will let you know what those legitimate interests are. Your personal information is stored on servers in the United States and may also be stored or processed in other countries by our service providers, if and to the extent compliant with law. You understand and agree that We may collect, use, disclose, and otherwise process the information you provide as described in this Privacy Statement even if you are from an area outside the United States. Your personal information may be disclosed in response to inquiries or requests from government authorities or to respond to judicial process in the United States. We will retain your personal information for as long as it is needed to provide you with the Services, or to fulfill any legal or contractual obligations we may have. If you are a resident of the EEA: Your personal information will be transferred to and processed in the United States, which has data protection laws that are different than those in your country and may not be as protective.